Now Foods provide a complete line of health food supplements and is very smartly competing in the market to stay in the top tier by providing high quality health products. 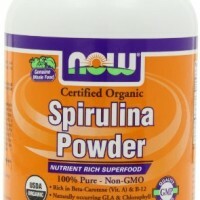 The Organic Spirulina Powder by Now Foods is a testimonial of the company’s quality and standards. 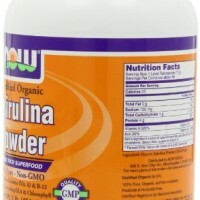 Derived from the blue-green algae, Spirulina is taken as one of the most resourceful, potent green food supplement. 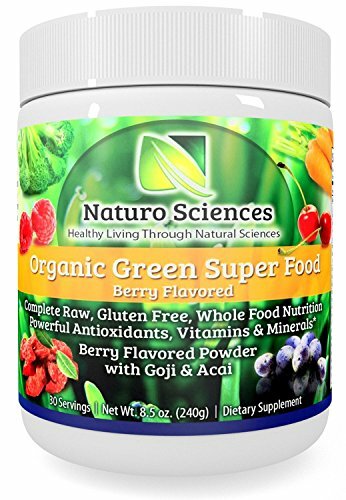 It is a certified food supplement which has become the crown of the “green- super foods” category. It is highly rich in vitamin B-12 and Beta Carotene (vitamin A) and has the highest protein levels among all green super foods. The powder is packaged in a small white plastic container. 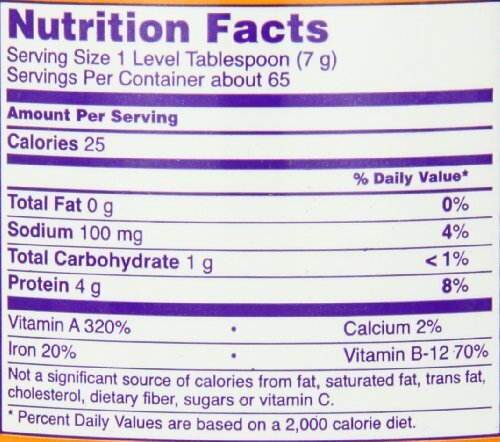 Each container contains 1lb of the powder. 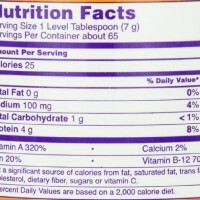 57% of the product is protein with a total 258.78 grams of protein in each pack. The product is tested and certified to be free of metals & contaminants. None of the ingredients contain gluten. It is completely gluten free. 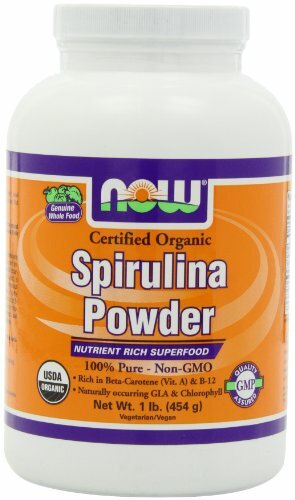 Accepted and universally recognized as one of the best organic Spirulina powder, this Now Foods product has been reported by a few consumers to have a couple of problems associated with it. The two, often repeated complaints, are the unbearable smell and taste of the supplement itself. But if you mix it in a strong juice or shake to make a smoothie, the smell and taste of the powder are sure to be subsided. 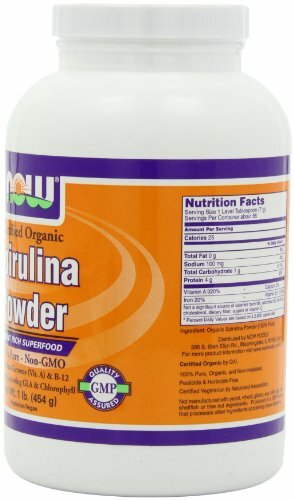 The Now Foods Organic Spirulina Powder has earned for itself the magnanimous reputation of being a wonderful green source of Vitamin B-12 and is supplied with natural vitamins, minerals, cell salts, amino acids, trace elements and various enzymes. 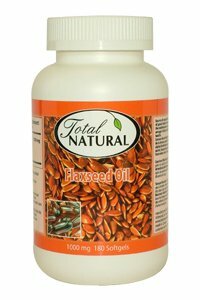 It is a rich source of GLA (Gamma Linolenic Acid) which is a fatty acid with numerous known health benefits. 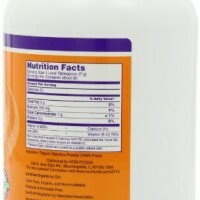 In short, it provides an all inclusive, complete natural nutrient profile that is typical of whole foods. 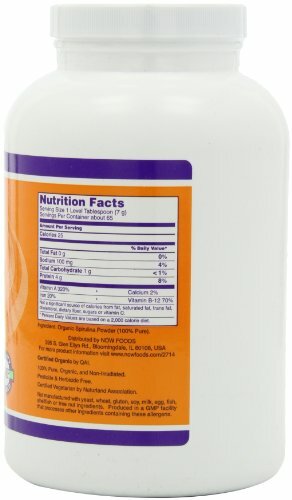 Get the 1lb container on sale over at Amazon.com.